There are many methods to obtain good deals online and more people are buying online because everything is so affordable and websites usually have smaller prices. So buying online itself can be called a good deal. However, if you want to get good deals on your online prices, read the following section of this article. Discount sites – discount or deals sites are usually sites that gather all the coupons and announced discounts on every shopping website. You can search for any items to see if you have any discounts for them. Some discounts are for a certain amount of money spent, some will have certain items on discount, while others will ship your order for free. If you buy a lot of things online, discount sites are probably your best friend and you can save a lot of money when using them. 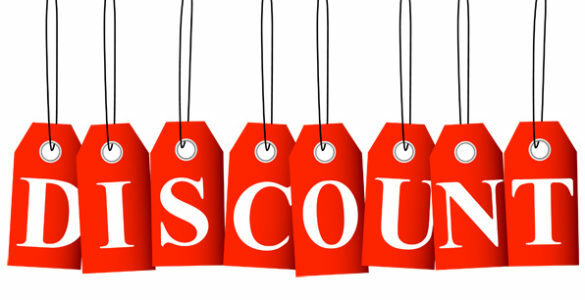 You may not notice now but if you are a frequent online shopper, try using coupons and discounts for a year and then calculate the amount of money you saved, you will be shocked and never let go of those discount sites again. Finding good deals on retail stores – doing some browsing yourself through different shopping sites to find discounts is practically the same as browsing discount sites. However, not all online shopping retailers have their discounts on a coupon or discount site and if you are a frequent buyer and a subscriber to their newsletter you can easily know when they are going to have their next sale or promotion. Try buying more products with your friend if you get a discount for a certain amount of money or free shipping. They are actually tricking you into buying more, but you don’t need to do that when you can share the cost with a friend. Used items – a lot of people don’t agree with buying used items, but when you need something badly and you don’t have the means to buy a new item, you will have to browse the ads for used items. Home appliances can be easily found on these ads and you will save a lot of money if you are a student looking for a fridge that will last 2-3 years until you finish college. You can buy one with your roommate and you can also buy cheap furniture if you spent all your money moving into a new place. Some people will have really good items because they are trying to get some money fast, so make sure that you find them and negotiate.